Can you believe it's already August?! It feels like Summer is just getting started. We refuse to let any of our PTO days go to waste and we encourage you to do the same! Save your coins. Cop that flight and take a trip sis! Whether you’re going for a bachelorette party or vacation, here’s our quick guide on where to stay, what to do, and how to get weed in Las Vegas, Nevada. Opt for a Terrance Suite. You won't regret it when you take that first step on your oversized private terrance with panoramic views of the Vegas Strip. If you're over 21 it is completely legal to possess up to an ounce of marijuana for personal use in Las Vegas. 5 minutes from the strip is a 24 hour dispensary. The Grove serves medicinal and recreational patients so they grow the highest-grade flower and all-natural, deliciously effective edibles. Relax with District Edibles Sativa Gummies and flip through Elevate Nevada magazine. A creative canna resource that focuses on the medicinal benefits and educational aspects of medicinal marijuana. Now that you've escaped the tourist trap of the Las Vegas strip head over to Cafe Lola- a chic European style cafe. 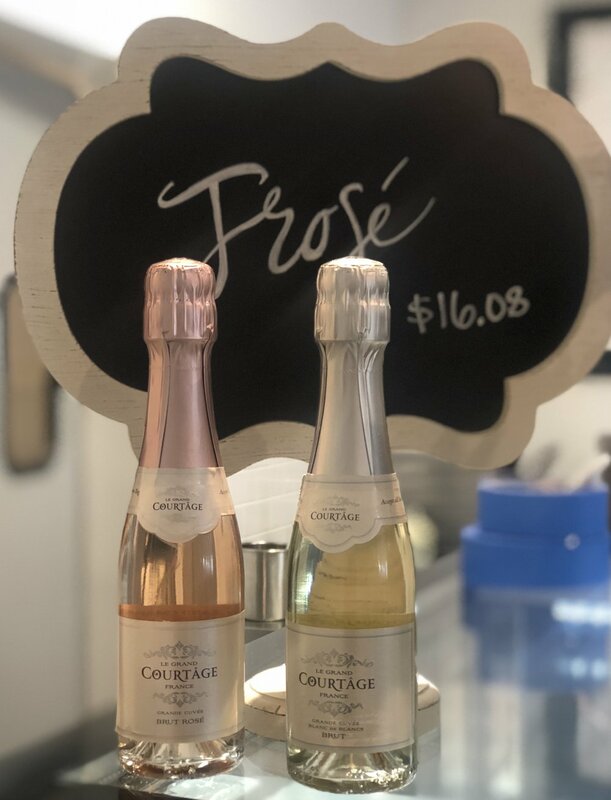 Cool down with their hottest drink of the Summer Frosé (Frozen Rosé). Take our advice and slip slow. You'll want to avoid brain freeze at all cost and it will be hard to stop yourself from gulping like a heathen because its that good. Especially in 100+ temperatures. You can't leave Vegas without hitting casino. Beginners luck was definitely on my side at the Roulette tables. I put up a friendly, but low $20 wager. I played just enough to walk away with $100! Not bad for my first time gambling in Vegas. Get the lens right. 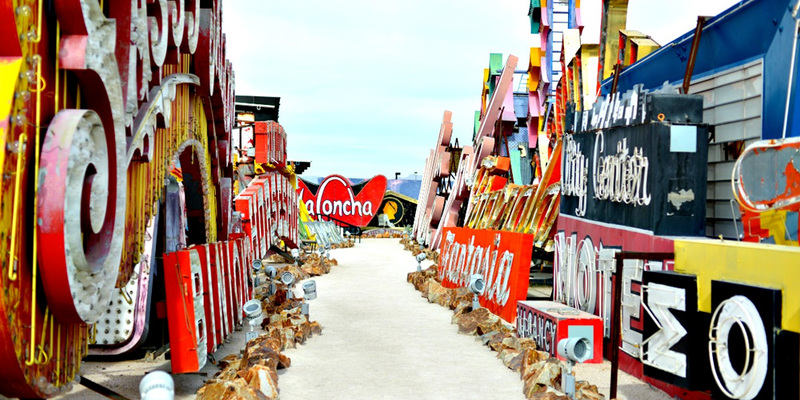 Flex your iPhone camera skills and do it fah da gram at the Neon Museum. Tickets are $19 to $42 and are released about a month in advance. If you're one of those "i-like-art-types" it’s a great place to go on a photo tour and get a history of signage and what it means to the city of Las Vegas. 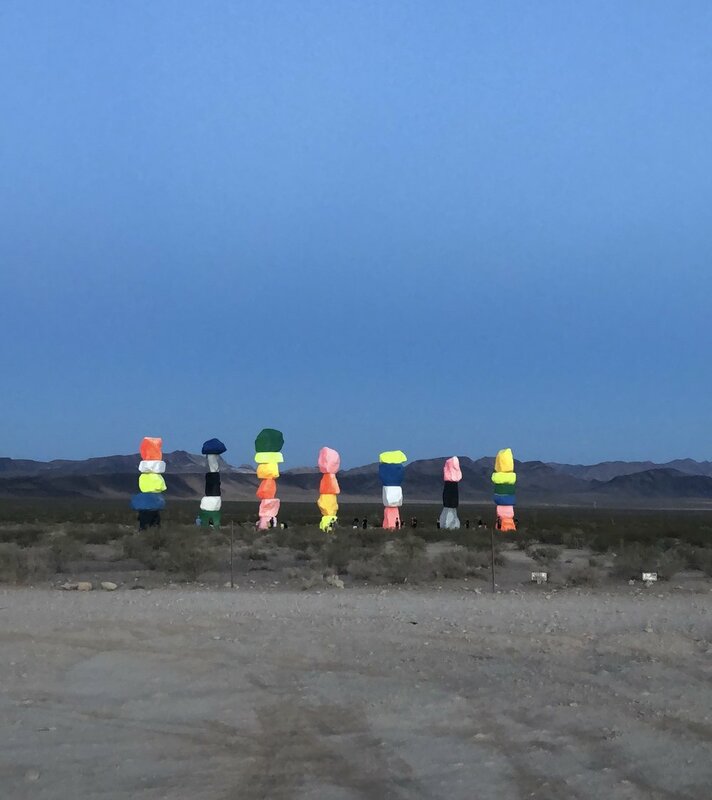 Seven Magic Mountains art installation. The exhibition opened May 11, 2016 and was originally scheduled to be on view for two years. Because of its success the artist Ugo Rondinone and producers are currently working on an extension plan. Right now we know it will remain on view through the end of 2018. It's free99 and open to the public so make an excuse to see it before this year is over.